Documenting trails, you say? I'm not sure how you plan to do this, but I'd like to put in a plug for OpenStreetMap, in case you're not already familiar. I have had a 60CSx for 12 years and plan to soon acquire a 66st. Mainly I use it for hiking and geocaching. I track all hikes and then download the tracks into BaseCamp. I do not like how the older GPSr units reduce the number of track points when saving and am looking forward to the 66 which will not do that. 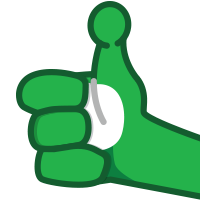 I am not all that great with BaseCamp yet, but as we recently retired, I plan to spend more time with it and hopefully figure it all out. There are a lot of trails around home here in southern Oregon that are not on any maps. I would like to get them on to my maps at least by using the tracks I make when hiking. I love the maps that Jon at Switchbacks has made. NW Topos and NW Trails. 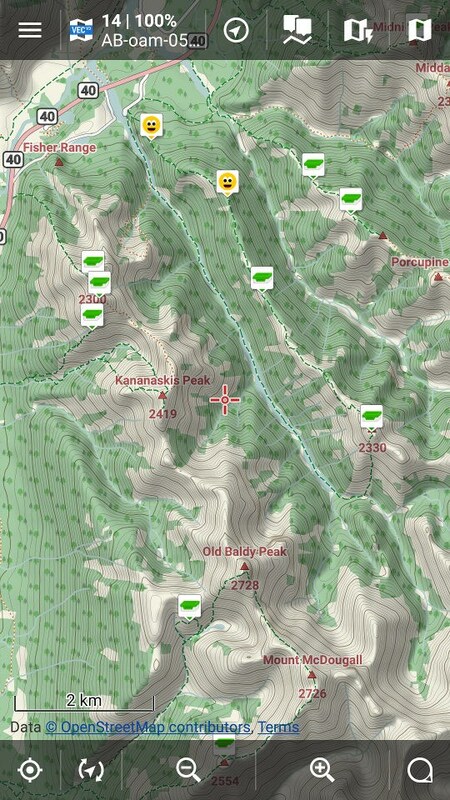 NW Topos is a stand-alone map that also has all the trails that are in NW Trails. NW Trails is an overlay that I use over the base map on my 60CSx. The Switchback maps have not been updated in a while and I don’t really know how to get my tracks on to them myself as new trails. You can send tracks to Switchbacks.com but since there is only one person working on them and they have a full life apart from the maps, I am looking for another method of getting our local trails documented. I will still send the new tracks I do with the 66st to Switchbacks, but also want to see if there is another way to get our local trails onto a topo map I can use in the woods. I have looked briefly at Open Street Maps but don’t see a good topo option with them although the above quote hints that OSMs may work for me? So, I am looking for suggestions as to how to proceed. Also, any details of how you may do tracking and then getting those tracks on to a topo may would be appreciated. When I resided in the Pacific Northwest, I also made great use of Jons exceptional topo and trail maps on my Garmin GPSr. He does outstanding work and I have never found a better non-OE map. Then I moved to the Southwest, and found very little coverage/support for trail maps here. What was available was many years old and nothing had been updated for a very long time. So, I learned how to create Garmin maps for myself. This took a lot of trial and error, heavy on the error part. But now I am able to create excellent trail overlay maps for use on my Garmin GPSr. I have not yet gone so far as to create a full topo map, as there are plenty of those available. I just wanted to be able to update trail maps as desired. Keep in mind Garmin GPSr are limited to the total number of GPX files and IMG files they will index. To both of you... I'm curious, how is the trail quality now in OSM, in your areas? I ask because the momentum seems to be building with trails going into OSM, more or less worldwide. Certainly not great coverage everywhere just yet, but heading in that direction. Much has likely been added since 2014. See https://www.openstreetmap.org then hit the Layer widget to choose Cycle Map. Oh, I started to do some editing in OSM, thinking that I could then just download OSM updates with my trail data included, but then some knucklehead decided they didn't like my revisions, and changed them to be incorrect again. I can not tell you how many mistakes or errors exist in OSM for my area, but they number in the 1000's. So, I continue to build my own maps that I have complete control over, so I know I can trust them. Any time you let that many people work on the same open project, the errors and inconsistencies are going to be compounded greatly. I know of at least two local projects: NW Trails as mentioned, and Southern Alberta Trail Maps. They may have shared data between themselves, again I don't know. (But the principals of both are active on these forums and may pipe in.) And they may have contributed their trails to OSM. So at the moment I'm not sure how they compare where their areas overlap. But I can certainly offer advice and encouragement on contributing trails to OSM. That I'm familiar with. Hasn't been my experience. Some people mess up things, but most are working for good not evil, and it shows in "busy" areas, like Europe. Lots of eyes watching the map, many people familiar with the guidance on the wiki for editing, and even great tools for catching vandalism or just plain clumsiness. It seems to work well, at least where I've paid attention. I am not real familiar with OSM yet but I did as you suggested. There are a few cycling trails shown in one area I am familiar with and hike often in. Only one of those trails is labeled with the actual name of the trail though. There are many other hiking only, (no bikes), trails in that same area. None of those are shown on the cycling layer map though. (Which I guess makes sense). But... I could not find a "hiking" layer. Does one exist? 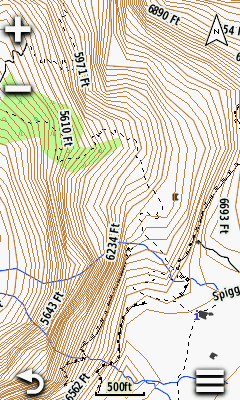 It is odd that when you toggle on the cycle layer, you get a topo map. Otherwise I don't see a topo map. I would not want to have hiking only trails put on to a cycling layer though as that would be inaccurate. Strange that I could not find a hiking layer as I think, at least in this area, hiking is much more popular than cycling. If OSM has a cycling layer, there must be a hiking layer? I zoomed in on one of those cycling traces I described in the above post and saw two things that concern me. First the cycling trail has as its name, "Path #395221084, rather than the real trail name which looks like it should be "Jackson Creek Nature Trail". Second, when examining the trace, it must have almost no points in it. It is mostly large straight lines that connect spots a hundred or much more feet apart. Zoom way out and it looks sort of OK, zoom in and it is very inaccurate and amateurish. Forget capturing switchbacks, it really does not even get regular curves and turns. I wonder if someone uploaded a more accurate trace of that trail if it would be put into the map in place of what is there? Or would it be ignored because it would seem that trail was already documented on the map? The four layers at https://www.openstreetmap.org aren't a complete list of what's available, more like samples of what can be done. The proprietor of the cycle map likes bikes and pubs, so that's what he highlights on his version, but note, all hiking trails in OSM are shown on that one too. More versions yet can be found at http://opencyclemap.org/ including a hiking-focused one, another at geocaching.com, and so on. Once a trail is in OSM, most of the maps will then display it, excepting maybe the transport map, or the quirky watercolor map (seen at geocaching.com hiding under "Leaflet"). Then you get into vector-based maps with stylesheets, (such as in Locus Map Pro, which I use on Android for caching and all-around navigation), with a wide variety of style options. This one is rendered on-the-fly in the phone, complete with contours and even slope shading. As to "Path #395221084", yeah, that path is ugly, and I don't see a better GPS trace uploaded for it. "Path #395221084" is just the internal identifier, and nobody's yet entered a name for it. https://www.openstreetmap.org/way/395221084 Someday, somebody will likely upload a better GPS track and improve the path on the map, and/or might see it from space (the tools have half a dozen imagery options, none of which is Google). I might even give it a try after sending this post, just because. EDIT: It's partly visible in satellite view, but not well enough for me to confidently edit it without a GPS track. But if you have one, by all means! PS re Path #395221084, I see runners/cyclists have been uploading their tracks to Strava, and I can see there are definitely unmapped paths there. But getting Strava tracks (dots?) to import into OSM is unfortunately an advanced-level topic, and also needs a paying Strava account. We have permission to use the data (always important), but the resolution is uselessly low without that account and some technical tricks. I really like the map you inserted above! That or the topos at switchback are what I would want. So there is nothing of that quality in OSM? As far as that path that I saw on the cycling layer... It seems odd to me that a hiking only path would display there? If I was a mountain biker and I turned on the cycle layer, I would want to see cycling trails, not trails that don't allow bikes. So why would all trails in OSM appear on all layers? Maybe I just misunderstood your explanation? Specifically to the path #395221084, that is a trail in Forest Park in Jacksonville, Oregon. I hike there sometimes 2 times per week and plan to get labeled tracks for all the many trails there once I have my 66st. I have tracks for some of my favorites already taken with my 60Cx but most have been saved to my GPSr first so not original quality. Also, the 60CSx does not pause tracks when you stop, etc. Overall, the tracks seem not great to me so I am just hoping I will be able to get much better tracks/traces with the 66 with less after recording work. So will sort of start from scratch and over time get good tracks with trail names for the whole park and many of the other trails in southern Oregon and far northern California. That screenshot is OSM, one possible rendition of many*. OSM is just a database of map data, and many kinds of maps are built on top of that. And it's up to the map-maker (eg the cycle layer aka OpenCycleMap) to decide whether to include hiking trails or not, when their focus is cycling. 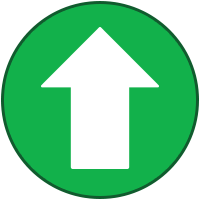 When you're using a vector map (as I showed) with a fine-grained-enough stylesheet, you are the map-maker (with help from the stylesheet), and can adjust away things you don't want to see. It's very flexible. OSM will definitely benefit (and so will your neighbours) from you recording those trails and uploading to OSM. The tracks just need a bit of clean-up at some point (in BaseCamp or the OSM editor of choice) before they're added to the map database, to remove pee / cache / lunch breaks, etc. OpenCycle map is designed to highlight bicycle trails and routes. 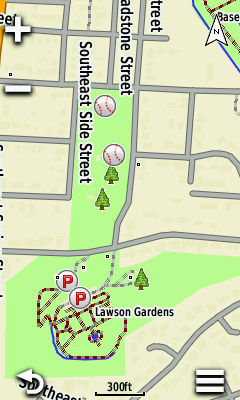 But when zoomed in, all trails are available to display on any of the OSM maps. I've always wanted to make and maintain my own maps for Garmin, but just haven't had the time or energy to get a project started. It's been in response to the current maps either being deficient in trails (not all state maps include trail data), or not having all of the features that I'd like them to have. Ideally, I'd like to take the OSM data and make my own custom aesthetic output, and somehow retain the routable data. Maybe someday. Really, I just need to find a way to include 40ft elevation lines that don't look like crap. I am not sure, or I am actually quite sure, that I don't fully understand what you are describing. That screenshot is OSM, but the map itself is not? Is it OSM data inserted into a map you downloaded and customized from OpenAndroidMaps? There is so much to this! I can see myself carefully getting quality hiking tracks that I can clean up some if necessary in BaseCamp, then provide to OSM or Switchback, or anyone wanting to use them in a map. But I don't think I will ever be technically proficient enough to make the maps myself. I am very partial to a good topo map though so want to have that to use. I will only use the maps on my computer and on the 66, not on my android phone. 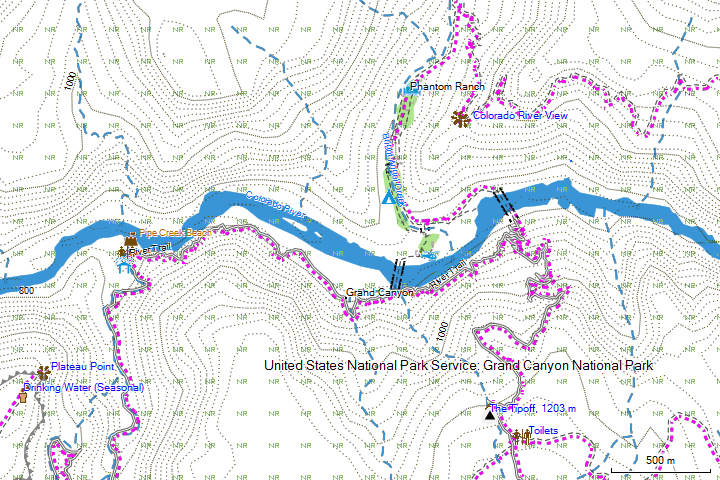 The model that Jon at Switchbacks has where a fantastic topo map is produced that has quality trail tracks from users and other places is a perfect model for people like myself whose technical proficiency does not approach near yours. But Jon's model may just be too much for one person to update and maintain. OSM seems to be OK but with some of the issues Atlas described above being possible nuisances. I like the concept of OSM though and would probably embrace and use it if I had access to the data on a quality topo map that I did not have to create like I think you do. Yeah, sorry - there are a lot of moving parts, the way I described it. That screenshot is, essentially, OSM. More specifically, it's the OpenAndroMaps map created from the OSM data. The OAM folks added topo contours to make their map, and together it's a simple download from their site. Then download a theme from the same site, which gives different ways to configure that map: turning parts on and off. BTW, with a desktop app called Cruiser, you can view OAM maps full-screen on the PC. Can't say I've tried it, but it's yet another option. Actually creating a map is quite optional. Hope I didn't give the wrong impression. Locus does not appear to read garmin.img maps. 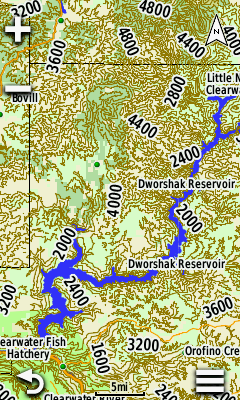 Any android mapping titles that do? It does, but not supported and doesn't work well. Tried it once, blech, awful visually. Not aware of any others on Android, sorry. But with OSM, I don't miss my old IMG collection. We have shared trail information as Jon's maps cover BC and people send me BC stuff. It does not look like he is updating his maps though. I'm not sure the reason. It could be that "most" people are using phones these days. If there was a way to port the maps to an overlay for use on a phone, that would be nice to see. AFAIK, there is not. As to OSM, someone did put my data on OSM a few years ago. I'm not sure if they are trying to keep up to date. When I looked at OSM in the past, there was no easy way to update a bunch of data at once and so it was too much of a hassle to manage the data with them. My biggest complaint with using OSM trail data for my own use is that anyone can upload anything. This results in a lot of bad information. With my maps, I try to only add data that appears decent and I will also manually adjust trails based on multiple tracks, which is something that is very hard to automate. Anywho, to the OP. You can create your own maps, if you want. It is not too hard. Or you can add your data to OSM. That is not that hard either and probably makes more sense. Uploading to OSM seems easy. Uploading and then adding my data myself would be harder, but I might be able to learn how to do it. Creating my own maps would get me what I want, but I am pretty sure this would be above my technical ability. Plus, I want to contribute my data so others in the places I hike can use it too. Just creating maps for myself would not do that. Too bad there is not a way to make Jon's switchback project open to a few other talented map makers so updates could be done. When only one person takes on a project, life has a way of getting in the way eventually unless it becomes an income producing endeavour or has at least a few people involved to support and update it. As a newcomer to OSM, the editor you'd probably start with is the in-browser one, called "iD". If it looks like you'll become a regular contributor, I'd urge you to invest the effort to learn JOSM sooner than later. It's packed with features like you can't imagine, and I waited far too long before switching. Oh, one JOSM feature pertinent to this discussion is "improve way accuracy". You're looking to improve a trail, and have multiple GPS tracks for that trail displayed, maybe the satellite image as well. With this feature, manually adjusting the trail is an easy matter of click click click... Not automated, but close. @Viajero PerdidoI get that OSM is a database of map data that people use to make their own maps. And that some of those maps then become available for others to download and use. @Red90 and @Mineral2 I also get that the database of information contains deficient data along with good data since anyone can upload and then anyone can use the data. It is indeed easy to find tracks/traces of hiking trails in OSM that contain so few points that the trails on the map are essentially long straight lines drawn between points a hundred feet or more apart! 1. 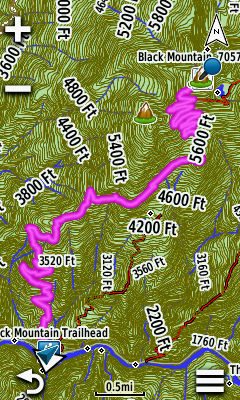 Use of a good topo map similar to Switchback's or what Viajero posted a screenshot of above. 2. I will make recorded hiking trail tracks/traces either in auto or at 1 second intervals and cleaned up a bit afterwards in BaseCamp. 3. I would upload those cleaned up tracks to OSM. 4. Those tracks would then make their way to the good topo map I will use on my 66. 1-3 above are easy. #4 is the the hard one I guess. After step 3 if I understand correctly, I would have the following choices? A.) Wait until someone takes my uploaded data and puts it into a map. AND hope that the map they put it into is a good topo map. Any other or better scenarios? 1-4 sounds right. To speed things up, you could do A yourself. Once you've figured it out, it's not that hard, and somewhat satisfying. Once a trail is in OSM, it'll filter out to all OSM-based maps that show trails. Just a matter of time; anywhere from one minute to several months, depending on the map (online) or how often it's generated and you download it (offline). Because of "A", I prefer to make my trail maps separate and transparent, so I can layer them above any desired map on my GPSr, sometimes a favorite topo map, or other type map, depending on my needs at the time. the JaVaWa IMG from GPX software I mentioned earlier will make your trail map from your GPX tracks (after you clean them up), and you can use that with any topo map you desire on your Garmin GPSr. This way, you are not 'locked down' to one topo option with your trails! A.) Wait until someone takes my uploaded data and puts it into a map OSM. AND hope that the map they put it into is a good topo map. I need to re-word something, shown above. Which then moots the second sentence. Once in OSM, trails work their way automatically to the maps based on OSM. Note that "OSM" here refers to the map database, not the holding area for uploaded tracks. What happens if a trail already exists in OSM and then a much better track/trace is uploaded for the same trail? You have the opportunity to tweak the existing trail to best match existing+new info, as you see fit. Tweaking the existing is recommended over delete-and-replace, because the former keeps the history. It's also good to take note of the source indicated for the existing trail: was it GPS, or imagery, or ...? That helps you judge the quality. I have taken it upon myself to update and add trails on OSM as I hike them. If an area's trails are missing, I might also trace them from the NWTopos map in Basecamp and then trace the tracks in the OSM editor, at least to have a basic idea of what trails are in the area until I, or someone else, has a chance to get some more accurate trail data. It's likely that much of the trail data in OSM comes from the USGS, and that data might be 50 years out of date. Nevertheless, I don't know that the purpose of mapping trails should be to include every minor bend in the trail, but rather a general reference showing where the trails will take you through the terrain. Even paper maps don't have the level of detail that you might be looking for. Nevertheless, when I find that a trail is way off in OSM, I take it upon myself to correct it if I have enough information to do so. At the moment, I haven't found a good OSM topo map for Garmin GPS. Every OSM map renders shaded areas with patterns rather than flat colors, and that annoys me, and every map with topo lines I've found so far displays the topo lines as dotted lines - and not with the same level of resolution as some of the state topo maps with more limited trail information. What to do indeed. If you figure out how to use OSM data to build a pretty looking map, let me know and I will partner with you on that venture. In the meantime, one option for when you are out of range of the NWTrails map is to keep both a topo map and an OSM map on your device and switch between them. In fact, if you have the OSM map layered under your topo map, the topo map will display (without the trails), but the GPS will route along the trails included in the OSM map. I don't know that the purpose of mapping trails should be to include every minor bend in the trail, but rather a general reference showing where the trails will take you through the terrain. Even paper maps don't have the level of detail that you might be looking for. I understand what you are saying but I like having the ability to zoom in to that level of detail on the GPSr. I have occasionally sent local people a track or the track information with elevation data/graph and they love it. Many older friends also like to see the trail in detail with switchbacks, elevation change, exact mileage etc. before they decide to go on a particular hike. But yes, for general use, less detail will probably be OK. It is just my weird nature to want a trail to be so detailed I guess. But I can't help myself being annoyed when I see a trail that looks decent zoomed way out, but when zoomed in a bit becomes nothing but a series of 100 to 200 foot apart points connected by long straight lines. That is unfortunate that they all have dotted topo lines. What do you mean by patterns instead of flat colors? I don't think I remember shaded areas on Switchback's maps. If you figure out how to use OSM data to build a pretty looking map, let me know and I will partner with you on that venture. Building a map is the part I don't think I will ever be able to do. I don't have issues usually being out of the range of Switchback's maps. The issue is that there are a lot of trails in our area that are new within the past few years and they are not on the Switchback maps. We can send Jon tracks but because he is so busy with other important parts of his life, by sending him tracks on an ongoing basis, I feel like we would just be putting pressure on him to update regularly and that should be 100% up to him what his priorities need to be. It seems like the OSM model at least gets the work off of just one person. From what is being said in this thread, it seems that what is missing from OSM and needs to be made, is a good topo map. Or a seperate good quality topo map that the OSM data can go on. Changing the line style or the polygon shading is pretty simple. You just need to create a TYP file. You can then have the lines look any way that you please. I might also trace them from the NWTopos map in Basecamp and then trace the tracks in the OSM editor, at least to have a basic idea of what trails are in the area until I, or someone else, has a chance to get some more accurate trail data. You don't need to trace the trails. It is pretty straightforward to convert the maps into a GPX file. For example... FS lands, or areas of tree cover on most of the maps you download is often shaded green. This is true on Jon's maps as well as the Idaho Topo, or the Oregon Topo, etc. that you can get from gpsfiledepot.com. But with the OSM maps, instead of just being shaded green, there's this repeated patterning with little "bush" icons and it's quite distracting. Let me see if I have a map I can put on my GPS to give an example. That would work as I could then use Switchback's NW Topos and overlay all my trails. Now just need to learn enough about all this to be able to do it! the JaVaWa IMG from GPX software I mentioned earlier will make your trail map from your GPX tracks (after you clean them up), and you can use that with any topo map you desire on your Garmin GPSr. This way, you are not 'locked down' to one topo option with your trails! Sound great but I read this page and yikes, there is a lot of knowledge and background assumed there! Have you ever seen a good tutorial on it that someone with less technical knowledge and background can follow? I am going to read through the OSM Wiki right now to set started on understanding OSM a bit better. Then maybe I can find a good tutorial on that also. Oh I see. Yes I have seen all that and like how Jon has it on his maps. I thought you meant the elevation was shaded somehow. Because I have not used OSM yet, I am not familiar with the little bush icons, but they do sound annoying. edit: Just found some maps with those little green and blue trees instead of flat colors. It is annoying on the maps as it looks like hundreds of waypoints or something. By the way, if you have not been to opentopomap.org, that's a beautiful map. I just wish there was a world-wide downloads for garmin and that they looked as good as they do on the computer/web interface. Yeah, that's not how I do my trails...... I like precision and detail. My trail maps have segment distances and distance between segment intersections so it is easy to determine the distance for each path option. These can not be done accurately if the path or trail is not recorded accurately. If anyone here is happy with just knowing this trail meets another trail at approximately this point starting at another point without detail, trail maps would look like star constellation maps. That doesn't work for me. Just looked and it is nice. Odd though that if I zoom all the way in, (which is still pretty far out), I lose some areas of the map. Becomes just a blank gray area. Are you saying we are unable to install that map on a Garmin? There's a Garmin link up at the top of the page, and it seems that only areas of Europe are available for download. It does appear that the map is unfinished at high resolution/high zoom levels for parts of the US. Bummer. 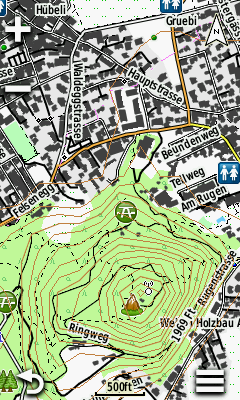 The OpenCycle map layer on OSM (based on OpenFietsMap) is nice, but could still use some aesthetic improvements. Unfortunately it is also not available for worldwide download for Garmin. Contours and full detail are only available for parts of Europe, the rest of us get Fiets Lite. So again quoting this from above, this seems to be the best solution for me at least. IF I can figure out how to do it with the JaVaWa software. I have not found anything yet that teaches it other than the page from the software itself. If I could just use NW Topos from Jon and layer on my tracks with my own transparent map until his maps are updated, that would work fine for me. Then once the newer trails made it to his maps, I would remove them from my overlay. I guess I just need to take it one step at a time. Looking at the learning curve, especially including JaVaWa GPS in it, is a bit overwhelming. Because I have not used OSM yet, I am not familiar with the little bush icons, but they do sound annoying. Garmin OSM maps do NOT have always the same annoying design. Just install the program and try it. Not as difficult as you think. You will likely spend more time editing your GPX traces FIRST than you will making a transparent overlay to use on your GPSr. Do something small first that is nearby your home, just so you can see how it works. Then make a simple change and try it again and see how it is different. Those are my all time favorite maps for my Garmin - unfortunately they stopped making USA updates a few years back.... I still use a many years old map from them on my GPSr because I absolutely LOVE the way it looks. An OpenTopoMap of Switzerland (which looks great). And some shots of Jon's Northwest Topos map, including one with the OSM map underneath to show how to make trails routable. The OSM map is just ugly in the national forest land use area. But city parks and other denoted areas seem to display better than I remember. Of course, I can just put the OSM map under the Northwest Topos and still display/route along a trail as long as the trail exists in the OSM map. And for kicks and giggles, I downloaded the OpenTopoMap for Switzerland, and it is beautiful, if not a bit overdone given the buildings on the map. I'll note that the topo lines are included as a separate .img file that overlays over the street map. OSM maps with topo lines available for the US can be found at GMapTool (http://www.gmaptool.eu/en/content/usa-osm-topo-routable) but they aren't pretty. I just found many of the new trails in our area on REI's Hiking Project and on All Trails. They have lot of trail information and photos. But the maps and info only seem to be available through an app on a phone or online. And the trails I looked at had the problem of being not very detailed. Many look like they were maybe recorded on a phone with long distances between the points. The All Trails map has contour lines, roads and the trails but seems very lacking on other features like streams, etc. Does not seem at first look to be something that would work for me at all but it is the only place that seems to have most of these new trails so far. That may be because most people today are using phones and these simple apps and not worried about the quality of the underlying data, but because so many people are using them, the new trails have made their way in. Gaia has some of the new trails also but seems to be an app too and trying to be a replacement for a GPSr rather than something that you can use with a GPSr. They sure are not pretty!